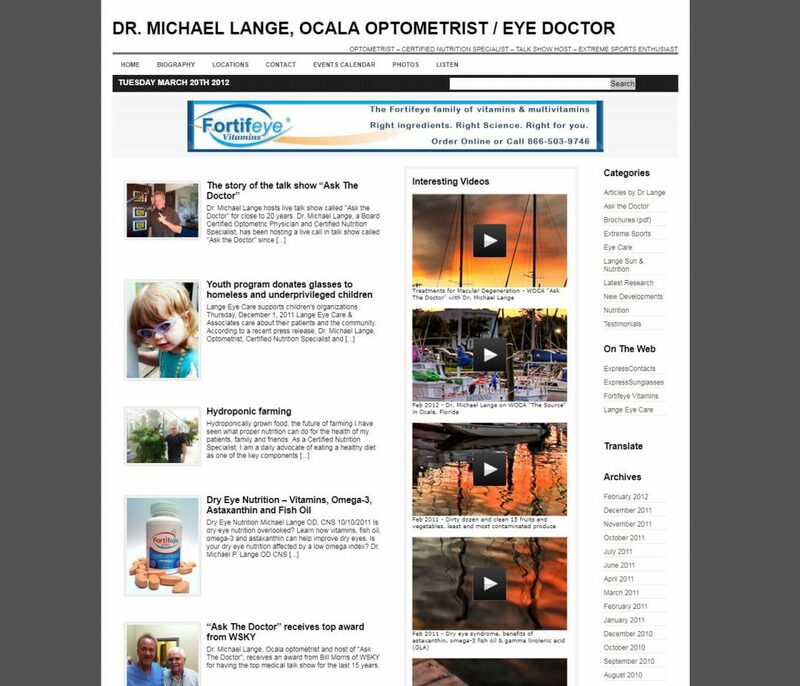 Dr. Michael Lange is a popular nutritionist, eye doctor and radio show host. We created this website for him to showcase his custom line of health supplements, his articles on eye and body health through nutrition, and his many videos and radio shows. This website design is based on a WordPress platform to enable the client to make his own updates. We designed a front page that focused on the newest unique articles and videos with featured material from the various web properties we developed for the client.